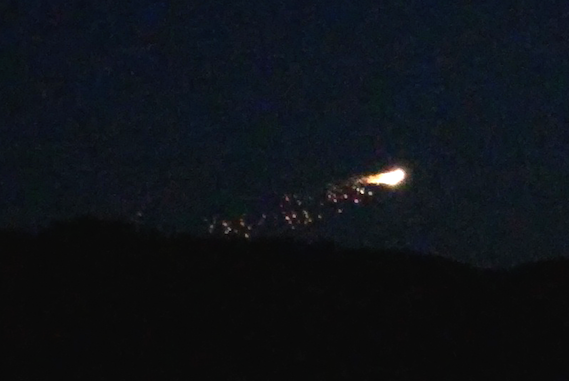 UFO SIGHTINGS DAILY: Flaming UFO Lights Up Sky Over Military Town In England, Aug 2015, UFO Sighting News. 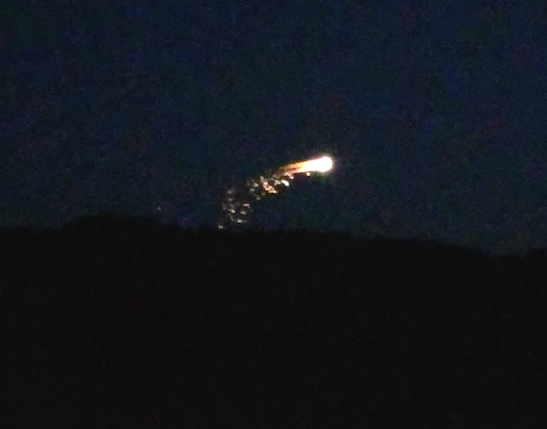 Flaming UFO Lights Up Sky Over Military Town In England, Aug 2015, UFO Sighting News. UFO often appear above mountains and this one is the same. If you add light to the photos above you will see a mountain below it. This town is a military town, so I am surprised something like this goes unnoticed by them. UFOs are often seen coming and going from secret entrances in mountains. This looks like a good example of that. At the time I witnessed this I was stood in my kitchen waiting for the kettle to boil. My house is in a elevated position and looking out of my kitchen window which faces SW, I have a good view of the sky above. Living in Warminster which is a military town, I'm used to seeing aircraft during the day, and lights in the sky at night, which most of the time I've attributed to normal aircraft, although in the past I've seen a few lights that I've thought to be a little different. On this particular evening it was a reasonably clear night and visibilty was good. 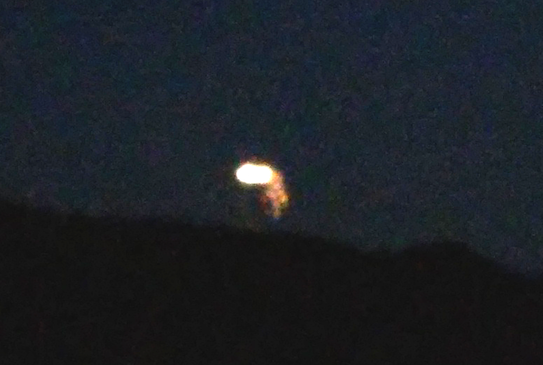 I noticed two sets of lights come into view as they rose above the tree tops about a half mile away. Usually on aircraft that ive seen at night, there are two sometimes three lights on the craft, these had more and were much brighter than I would expect to see. They seemed to almost touch before seperating and remaing close, they then followed a circular anti clockwise flight plan keeping just above tree level and headed towards a radio/tv mast with a flashing red beacon on top SE from my position. I grabbed my phone and ran upstairs to my bedroom which has two velox windows which face the same direction as my kitchens, opened them amd watched the craft(s) as it slowly made its way towards the area of the beacon. The first thing I noticed that was odd, was the fact I couldnt hear any noise, at most a slight hum, usually as sound travels better at night if I see lights overhead I can hear the engines. Having spent 8 years in the army and been around miltary aircraft including helicopters, I know what to expect so this was obviously strange. As the craft circuled the beacon the lights changed to a glowing white orb like shape and started to release something out of the bottom of it, as if it was dumping something, but it didnt look to be in trouble. That lasted for about 30 seconds then it changed back to the lights again and did another anti clockwise sweep around the area before it made off in a easterly direction and I lost sight of it.